Moving services, storage services ads in Perth. Thank you for visiting our free advertising website Moving services, storage services, Perth section. We provide high response free classifieds and free advertisement. Use our online free Moving services, storage services classifieds placement system to find, list, offer Moving services, storage services online! 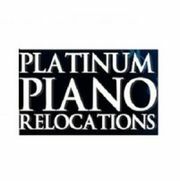 Are you looking out for relocation companies in Perth who would help you with easy removals? Well, here we are at Perth Cheap Movers where we are considered as one of the most trusted removalists serving areas such as Perth, Joondalup, Warwick, Osborne Park and Belmont WA. Being one of the most trusted, cheap and budget removalists in Perth WA, you can rely on our services while ensuring that your belongings are moved with care. Tims Removals is your moving and storage agency that gets things done on time and within budget. Whether you’re planning a house move an office relocation or need storage in the Sunshine Coast area, you’ll find us flexible, helpful and able to deal with tricky items and locations. Fast & reliable removal service in Sunshine Coast. Usually people opt for house relocation more than once in a year because of their professional life. That is why they don’t have time to organize or pack their belongings. In this case, you can hire services of house movers Perth. To know more call CBD Movers Perth via 1300 223 668 or visit https://diigo. Interstate relocation is lot more difficult than local relocation as it involves modern fleet with climate control systems, licensed interstate removalists Perth etc. 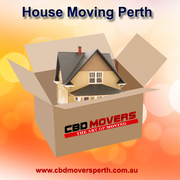 In this case you can contact CBD Movers Perth via 1300 223 668 as they have all the above-mentioned things.. If you are looking for easy and hassle-free relocation services, then no need to worry. CBD Movers Perth – removalists company Perth provide reliable moving services like house removal, office removal, furniture removal etc. To know more call at 1300 223 668 or visit https://cbdmoversperth.com.au/about-us. Perth Metro Storage is a leading storage companies in Perth offering self storage and storage units in Perth. Browse more to view our storage offerings..
Moving house is considered to be one of the most stressful times in our lives. We at Giraffe Removalists Perth appreciate that fact and aim to make the whole process go as smoothly as possible for all concerned. or Visit us at www.girafferemovalsperth.com.au!. Giraffe Removalists Perth are justly proud of our reputation for quality and service. You can trust us to take care of your move. And because we appreciate that every home is different, we make sure we understand your removal needs and provide a service to you that is personal in every detail. Give us a call now! Visit us at www. We have a full range of packing materials available at competitive prices with discounts available for giraffe customers looking for Removalists Perth. Call today and ask about our complete packing service! Visit us at www.girafferemovalsperth.com.au!. Moving into your new home in Perth can be a rather stressful process. That’s why Giraffe Removals In Perth offers a quality, reliable and affordable service to move your most treasured possessions to your new home. Visit us at www.girafferemovalsperth.com.au!. Australian government always wants to maintain friendly relations with other countries whether it’s the neighboring countries or Asian, gulf, mid east or European countries. Therefore, to further strengthen this facilitating relationship of integration and coordination, the higher authorities have reconciled the strategies enabling easy but controlled immigration policies for the people interested to get settled in Australia. The Moving Men are able to supply you with just the man power to move things internally around your home or office in Perth, Brisbane and Gold Coast..
Australia free ads for Moving services, storage services, Perth, Moving services, storage services free ads Perth, Moving services, storage services for sale Perth, Moving services, storage services to buy in Perth. 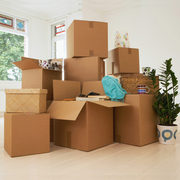 Find on this page free classifieds for Moving services, storage services in Perth. This listing includes classifieds for sale and to buy in Perth. FREEADSAustralia Perth offers you a platform to post free advertisements or classifieds for Moving services, storage services in Perth. FREEADSAustralia helps you search, find buy, sell, rent or hire in various categories like apartments, goods for sale, local services, cars , jobs and many more in Perth. 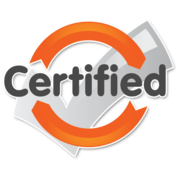 If you posted an advertisement in category Moving services, storage services of FREEADSAustralia Perth before please use Edit my ads button to change or cancel your ad. Moving services, storage services Perth ads Perth, Moving services, storage services classifieds Perth, Moving services, storage services free ads Perth, ads for sale Perth, ads to buy Perth, FREEADSAustralia. Find here ads for sale, to buy and rent in Perth. Goods for sale in Perth, vehicles for sale in Perth, Perth real estate for sale, Perth property for sale, property for rent in Perth, business ads in Perth, Perth business classifieds, services in Perth, Perth services ads, jobs in Perth, pets for sale in Perth, Perth dating, Perth cars for sale.